When writing a sales pitch, your objective is to close a sale. So how do you write the perfect sales pitch that will accomplish this goal? The following are five simple tips. Your opening statement should get the attention of your target readers. Be creative in putting together a statement that readers will not be able to ignore. Put yourself in the readers’ place and think about the things that they may be interested in. After you have caught your target readers’ attention, then you should be able to hold it. Do not follow your opening sentence with weak statements but support it with facts. An informative sales pitch that contains statistical data will sound more convincing than one that contains opinions only. Your closing statement should elicit the kind of response you want from your readers. Make sure that you close your sales pitch with a statement that will get your readers to act the way you want them to. A long sales pitch may bore your readers, and they may put it away before they finish reading it. On the other hand, a short and interesting sales pitch will have higher chances of being read from beginning to end, so keep your sales pitch short, direct and to the point. Finally, check your document for grammatical errors. 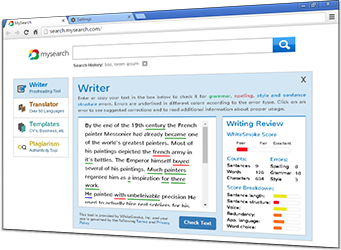 For small texts, you can use our online grammar checker or for professional use, our complete English grammar software application. 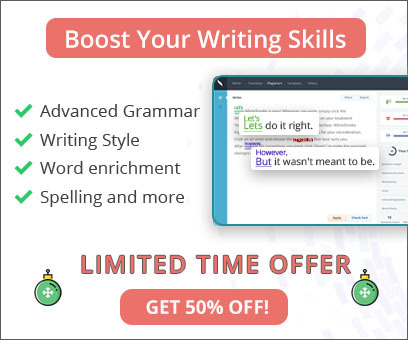 A grammar checker definitely comes in handy for quick polishing of your sales pitch.